The PX2310 offers the user unprecedented flexibility allowing field selection of range, type of output and field zeroing. The user can also select which port is hi and lo via jumpers. 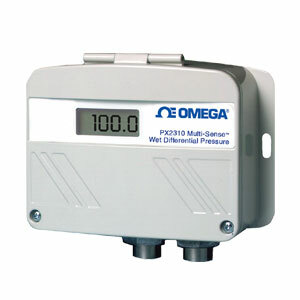 The 4-digit display can also be set to read either line pressure or differential pressure. The entire package is rugged cast aluminum with a NEMA 4 rating and the solid state sensor offers excellent accuracy, stability, and low long term drift.